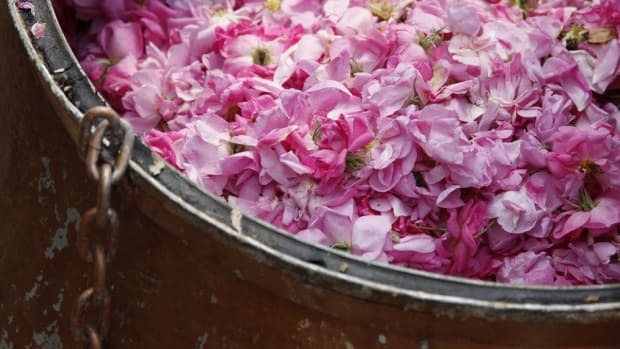 Rose water can be traced back to the 10th century, during the Persian empire where rose petals were used to decorate and flavor Persian cuisine. During the time of the Crusades, rose water made its way through Europe where it was used to wash hands before large Medieval feasts. Today, its uses are numerous, from its aromatherapeutic properties to its cosmetic applications. But did you know it&apos;s also worth drinking? 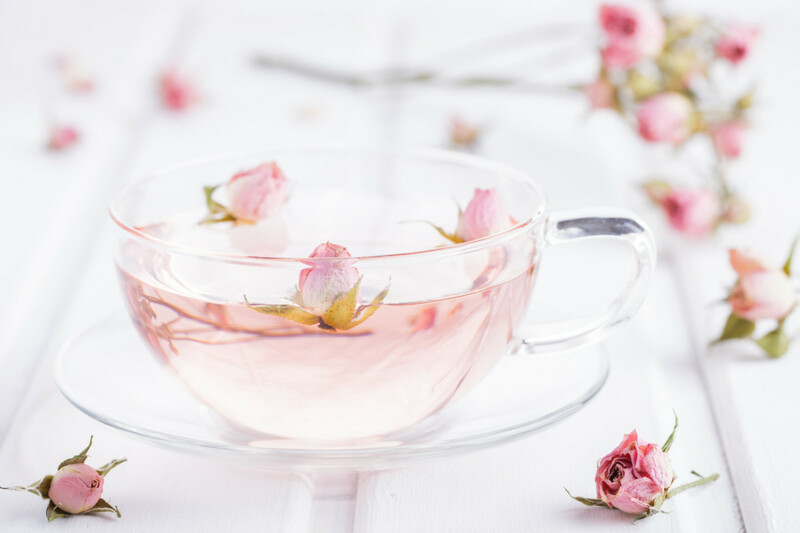 Here&apos;s why you may want to consider sipping on your rose water. Rose water is created through the distillation of rose petals in steaming water. There’s a difference between rose water that’s drinkable and rose water that’s made for external use (as in many beauty products). Pure drinkable rose water is made by adding the distilled essence to your water. 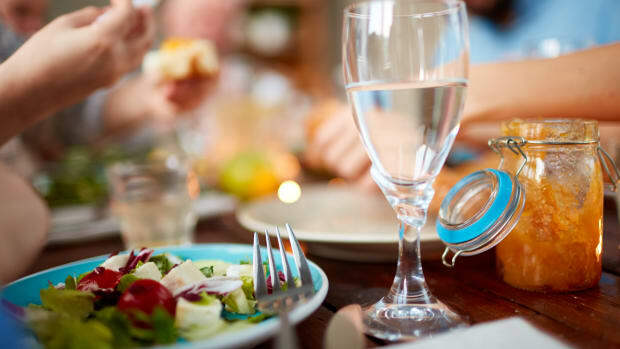 You can also flavor iced tea, salad dressing, granola, fruit salad, ice cream, or even a glass of champagne. This ancient remedy is making a come back and that’s a good thing. Not to mention that it&apos;s well studied and research has shown how beneficial it is. Rose water contains a number of antioxidants including flavonoids and anthocyanins. A study published in the December 2005 edition of the Journal of Agricultural and Food Chemistry showed that rose extract exhibited a strong ability to combat free radicals. Its petals are nutritionally dense, containing vitamins A, C, E, and B. It makes water tastier for those who don&apos;t like regular water, which is important for hydration. It’s a mood enhancer and can be calming to the nerves. A study published in the November 2006 Indian Journal of Experimental Biology found that rose extract calmed the central nervous system in rats. In Ayurvedic medicine, it’s known to balance the emotions that govern the heart. It has anti-inflammatory qualities. A study published in the Spring 2010 edition of the Iranian Journal of Pharmaceutical Research found that it could be used to relieve external inflammatory pain. 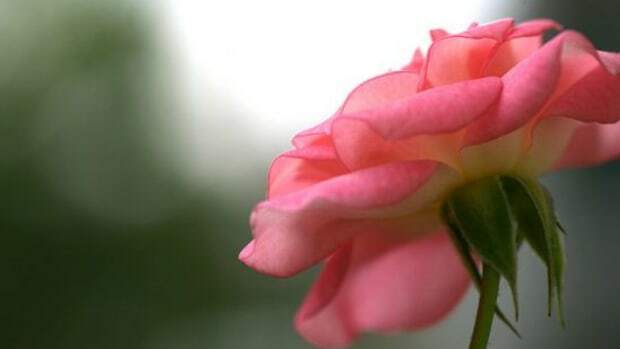 In addition to drinking rose water, it has a number of other uses with regard to the skin and hair. Rose water has a natural astringent quality that makes it helpful for treating skin blotchiness. It can also be sprayed on the skin after cleansing to help the skin better absorb its moisturizer. Rose water also has anti-inflammatory qualities that makes it really good for treating facial redness, especially eczema. It can also be helpful for acne, dermatitis, or skin that’s mildly irritated. You can drink rose water, which benefits your skin from the inside out. Or you can make a rose water toner or a facial mask, which gives the skin a fresh, dewy look. There’s a reason why it was used during Medieval times to wash hands. 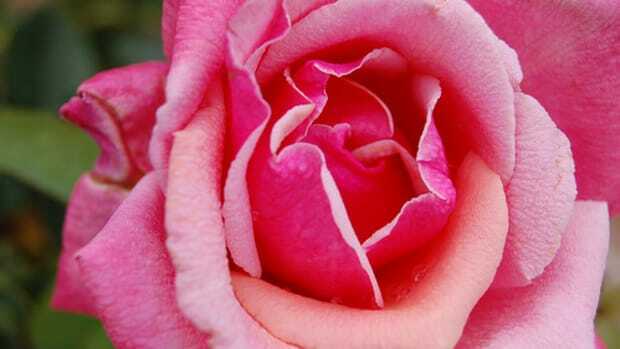 Rose water has antibacterial properties. It’s a natural remedy for treating cuts and wounds. And a study published in the June 2003 edition of the journal Fitoterapia found that rose extract kills fungi viruses that can destroy tomato and pepper plants. Rose water has been shown to reduce the signs of aging, especially fine lines and wrinkles. A study published in the January 1991 edition of the American Journal of Clinical Nutrition found that the antioxidants it contains could have anti-aging effects on the skin. It&apos;s moisturizing to the hair as well. If you have dry frizzy hair, especially in the winter time, a few sprays of rose water can help tame your mane. 2-3 quarts of rose petals. They should only be from fully expressed blooms but before the petals have browned. *If making rose water to drink, you want to look for organic rose petals, often available at flower shops, as conventional roses are heavily sprayed. Don&apos;t use roses leftover from a bouquet unless you know that they&apos;re organic. If picking from your garden (and know they&apos;re clean), do so after the morning dew has evaporated. 1. Place the petals inside the pot and pour enough water in to cover them. Set the bowl in the center of the pot, with the rim higher than the water by a few inches. If you need to elevate it, use a canning rack or fireplace brick—or something that will not move around in the water. 2. Cover the pot with the lid flipped upside down, and bring the rose petals to a boil. Once the water is boiling, fill the top of the lid (still flipped) with ice cubes. Reduce the heat to barely a simmer for two hours. 3. Add more ice as needed, checking occasionally to make sure there is still enough water over the petals. If you need to add more, make sure not to get any water in the center bowl. 4. The condensation from the heat/ice will drip into the bowl leaving a pure rose water. 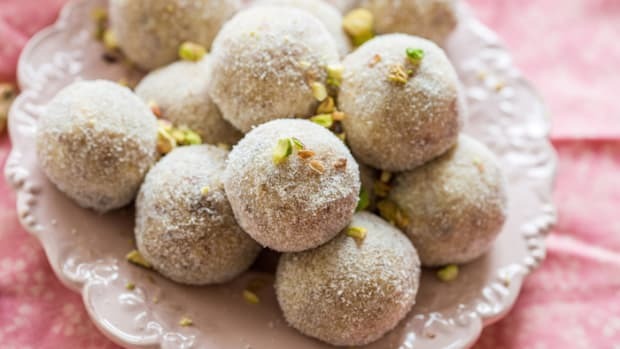 It should make between one pint and one quart of sumptuously fragrant rose water. 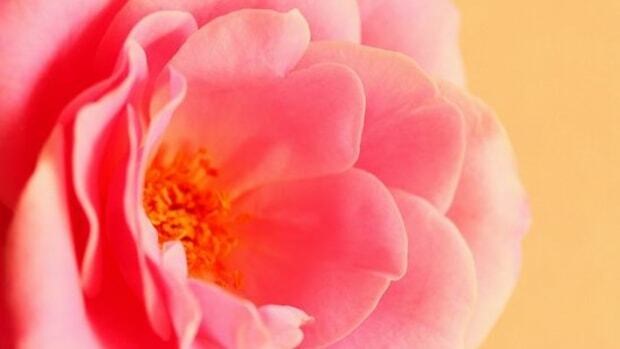 Here&apos;s a simple way to put the benefits of rose water to use on your face. 1. 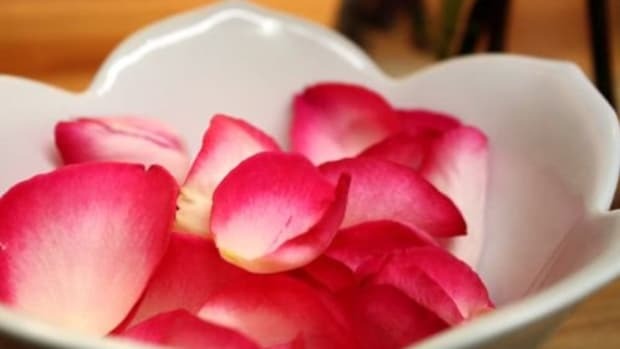 Use scissors to cut the rose petals up into small pieces and add to the rose water. Let steep for a few minutes. 2. Add the honey and yogurt to the rose petal water. 3. Combine completely and then apply to your face for about ten minutes. 4. Rinse it off with warm water. 5. This rose water mask can treat a host of facial ailments from facial redness to rosacea, skin dryness, and even acne. Apply once per week to nourish your skin. Do you drink rose water? What&apos;s your favorite rose water recipe? Do you use it for your skin and hair? Tell us all about it via Twitter @OrganicAuthority.